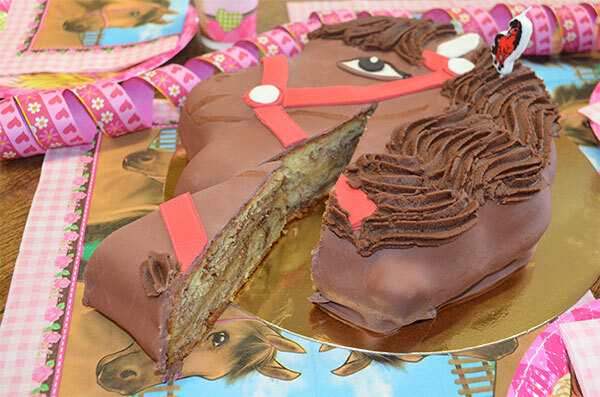 With every birthday party, a Jimmy-Cake is included: A marble cake with chocolate glazing, freshly made by Café Contur from Meitingen. 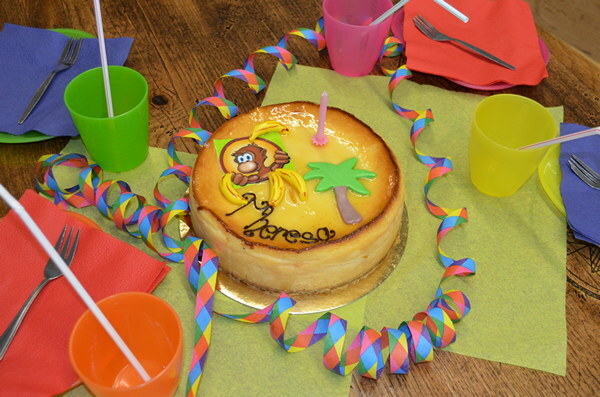 It's possible to have your Jimmy-Cake as a cheesecake instead of a marble cake, for no extra fee! 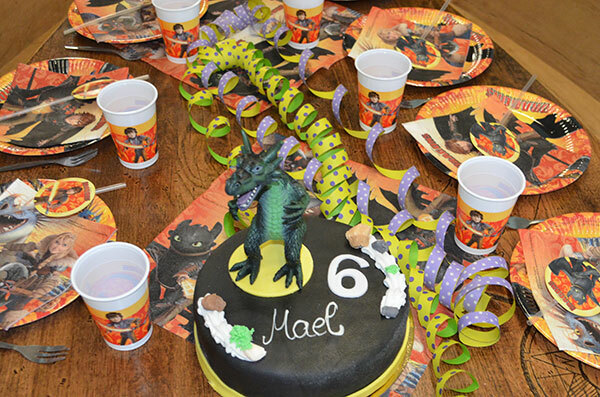 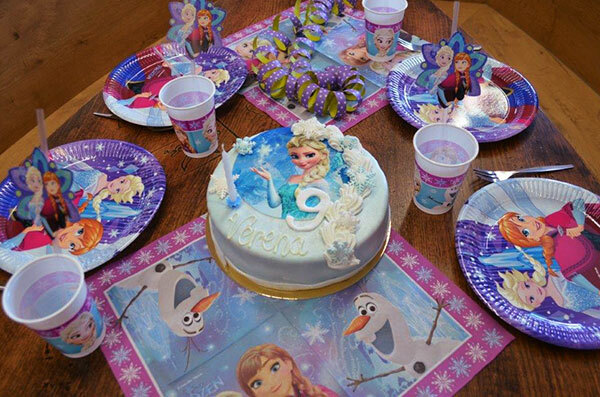 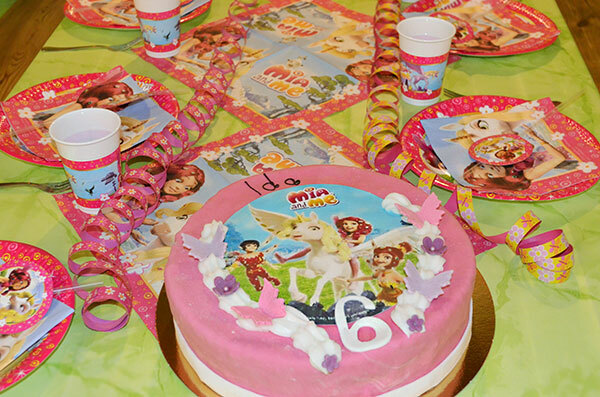 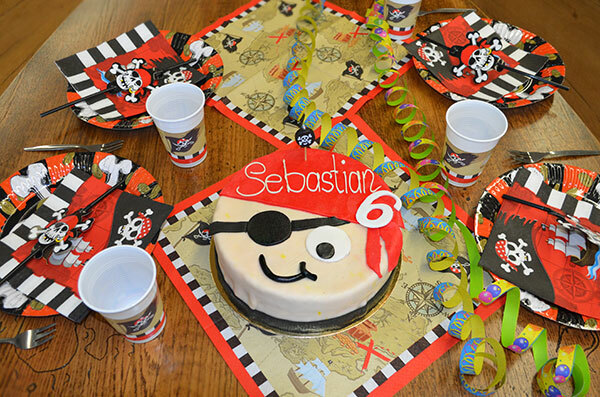 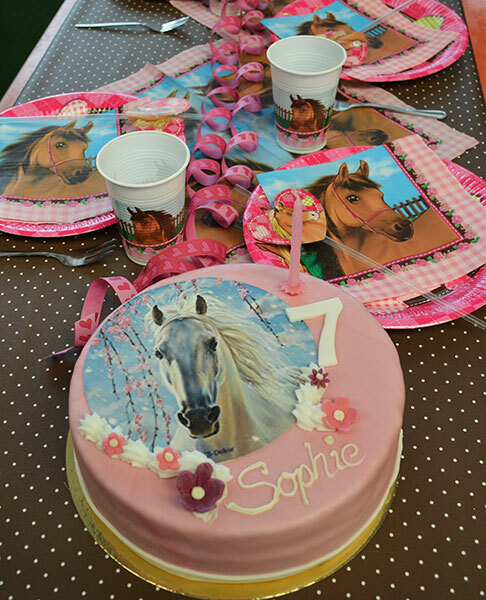 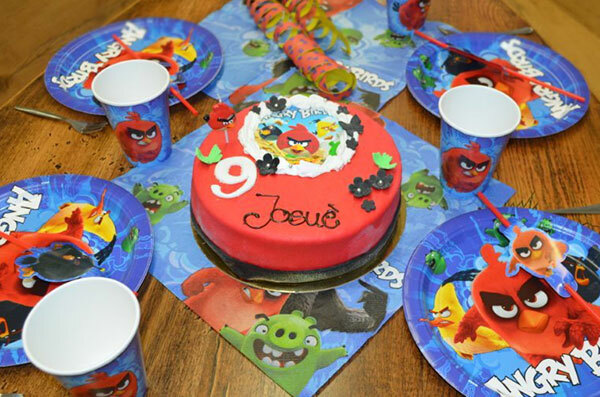 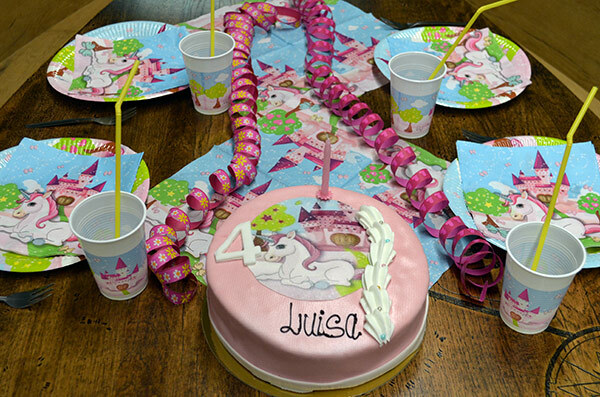 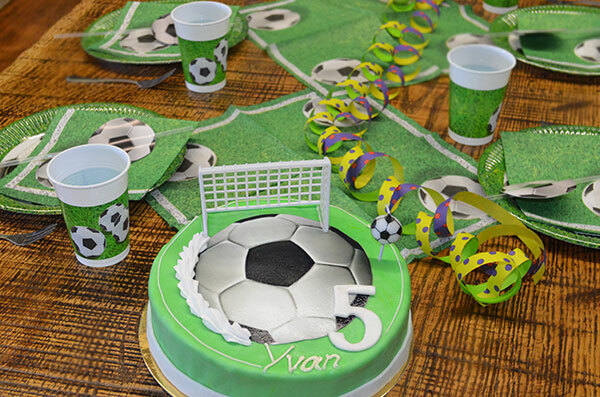 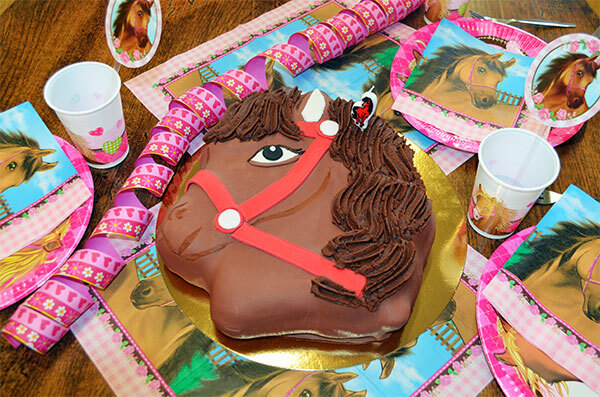 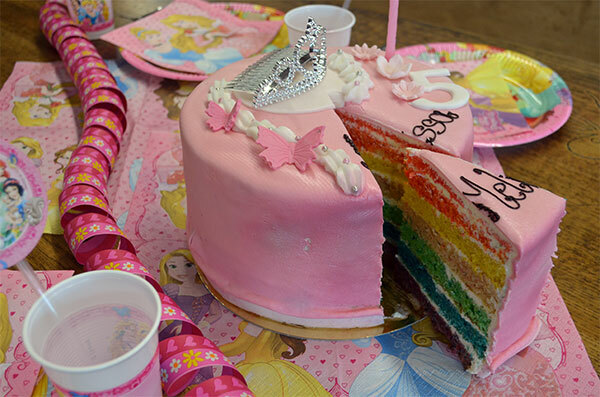 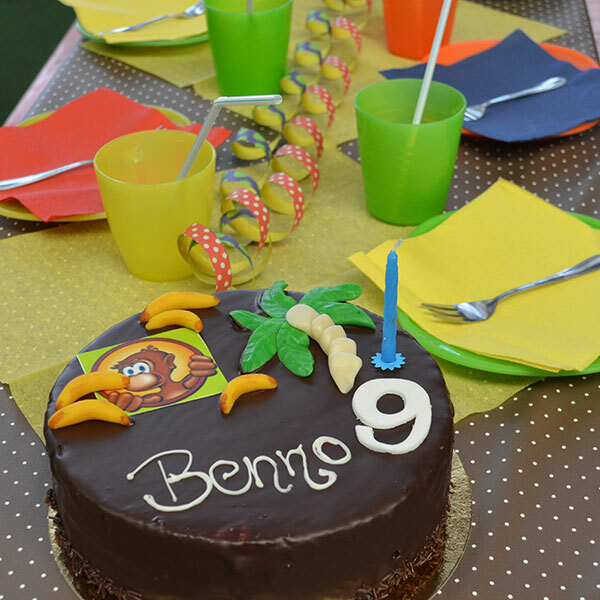 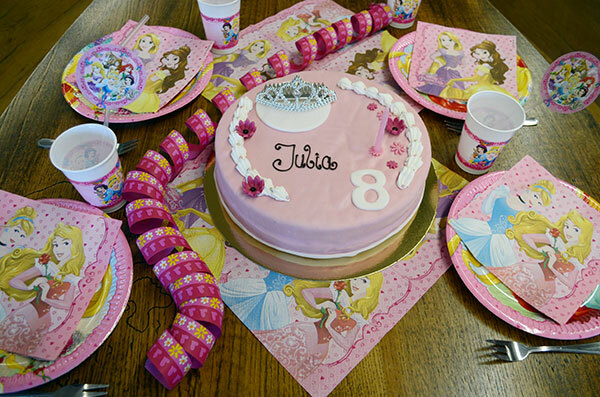 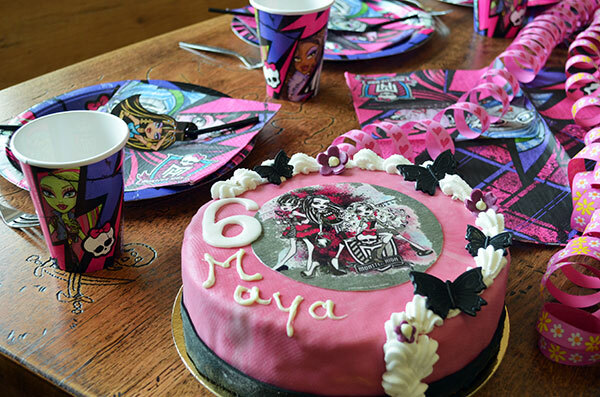 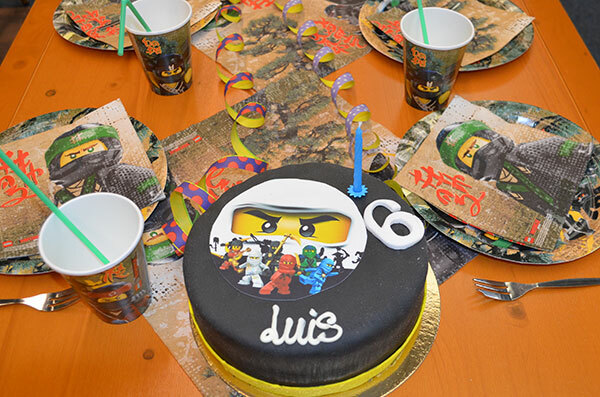 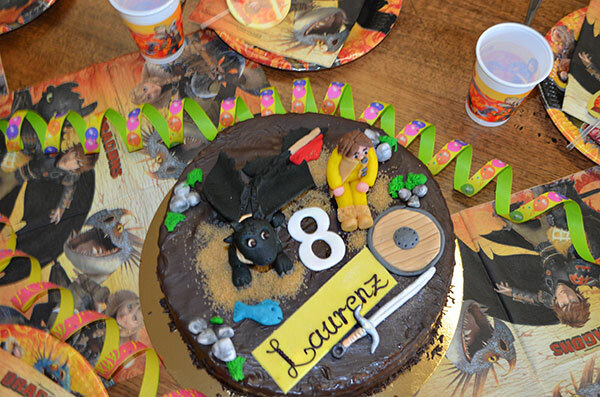 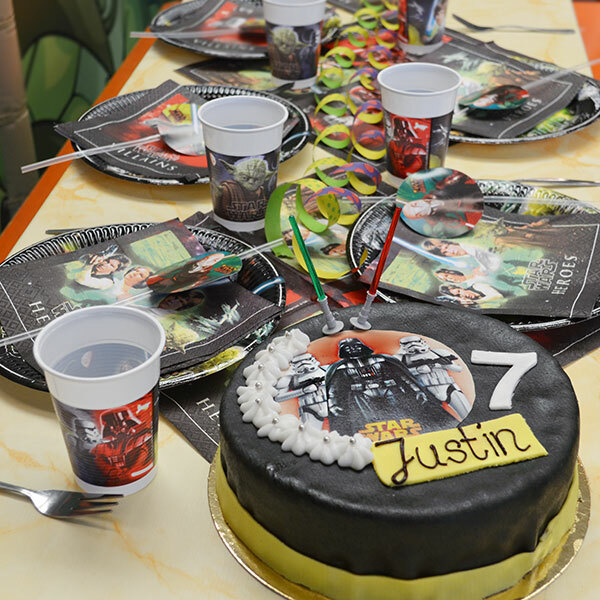 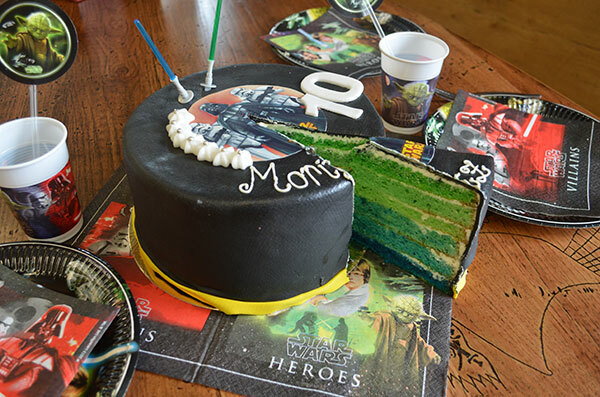 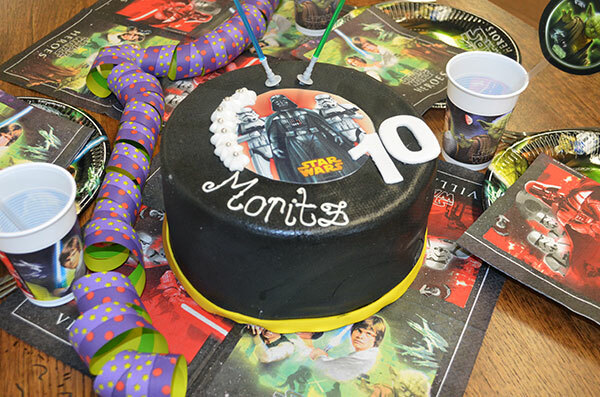 For 6 € extra, you can get a cake that fits the theme party of your choice. 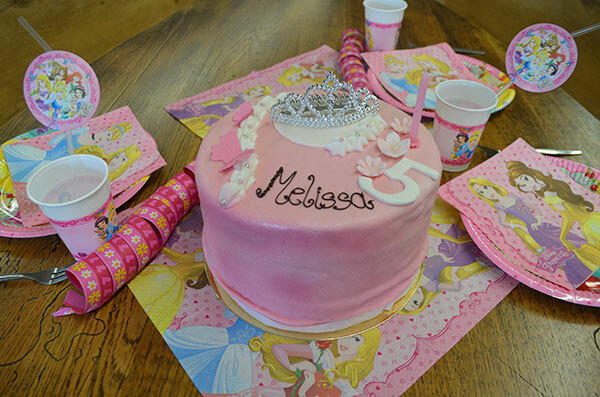 These cakes are coated with sugar fondant, alternatively with chocolate glazing. 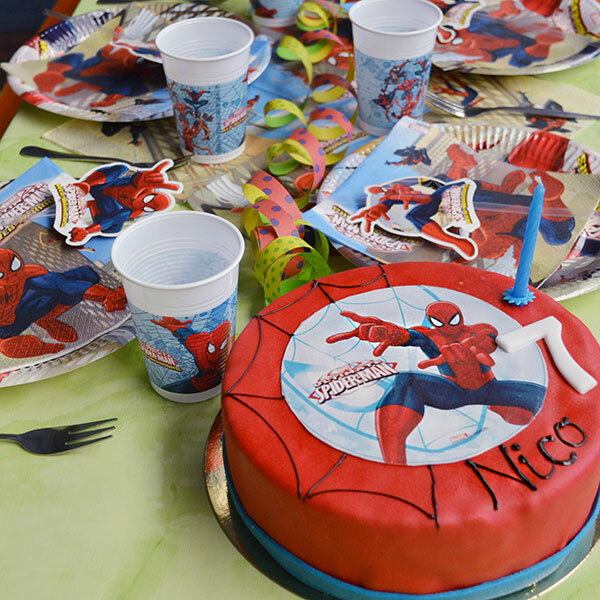 at 26 cm diameter 24 € extra. 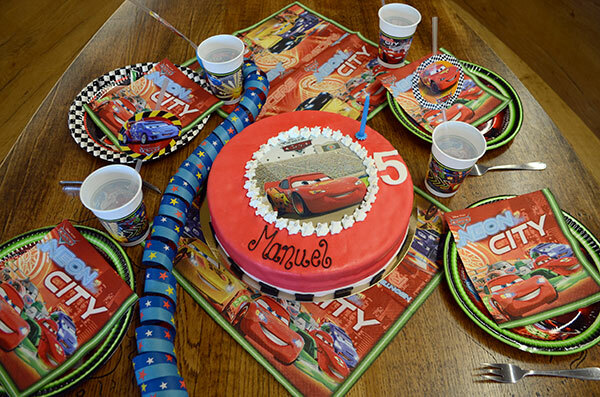 We would be happy to order your individual choice of cake from our confectioner. 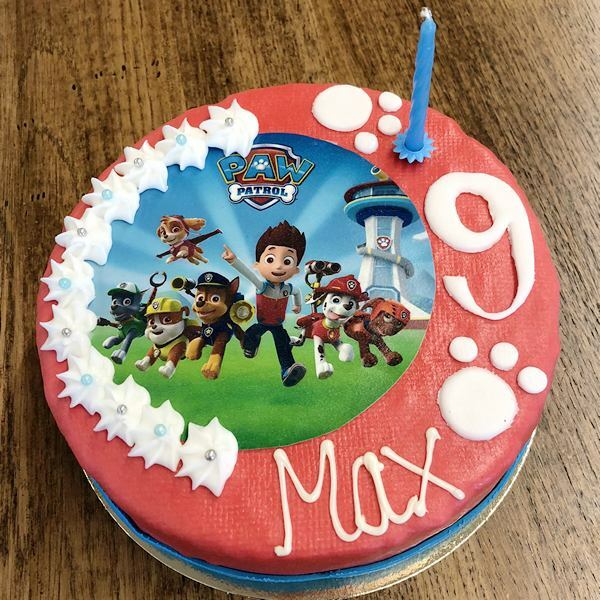 Price available upon request. 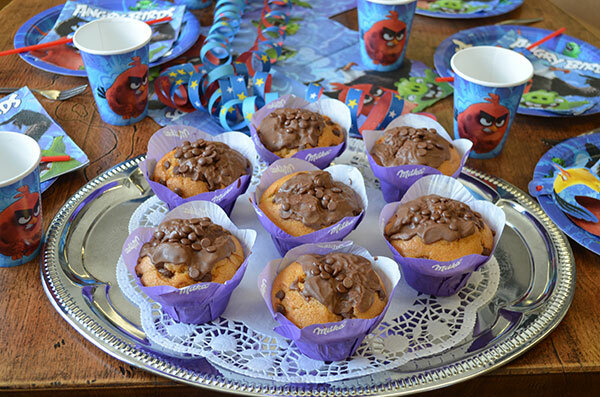 If you do not want cake, we offer one home-made waffle or one Milka®-Muffin (ca. 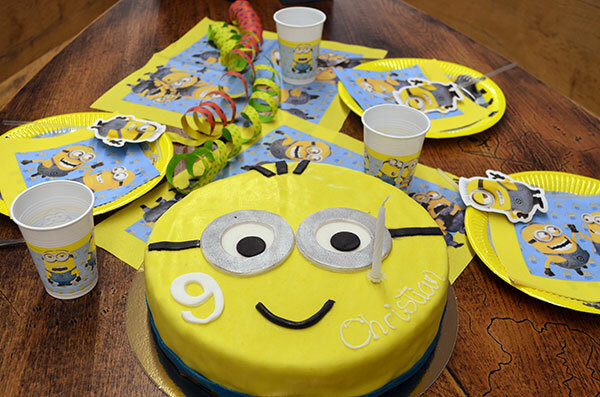 110g) for every child.